If Halloween crept up this year or the spirit just has not hit, putting out Halloween decorations is probably on the bottom of your must-do list. But no one likes walking up to a normal-looking house for Halloween; part of the fun is all the great decorating ideas. As time draws nearer for trick-or-treaters to arrive, it is time to add some Halloween décor outside and inside the house. The good news is decorating for Halloween does not take a lot of time or money. Look to the classic holiday icons – jack o’ lanterns, ghosts and black cats – for quick inspiration on last minute Halloween decorations. Halloween is coming but you still do not have time to prepare decorating. 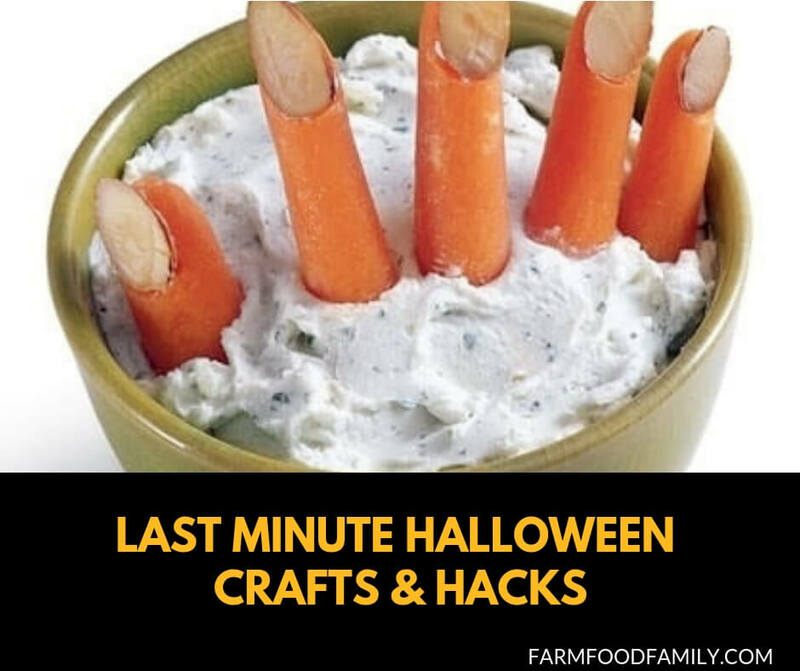 However, you do not have to worry because I have collected over 20 quick last minute craft ideas you can easily do in less than a day (some ideas only need 15 minutes). I still keep updating this list. So, pin it to your board and watch it when you need.